If you notice wet paint before it dries, it is much easier to remove. If you find it dried, there are some techniques you can use. This is a guide about removing latex paint from clothing. I got white latex paint on my favorite blue crop pants. I tried scrubbing with several stain removal products. It still is in the fabric. Is there any hope left? The pants are still wet from scrubbing if that helps any. Try plain, clear ammonia. Not the cleaners "containing" ammonia. Pour on spot, wait a minute, scrub with old toothbrush. Best done outdoors of course. How do I get dry latex paint off a cotton jacket? Question: Can I Use De Solv It to Remove Latex Paint from Clothing? My wife was painting a fence out in our back yard area, and didn't notice until sometime later she had gotten some paint on her blouse. The paint is a water based outdoor paint used for painting such things as a fence or other wooden material. The paint has dried on her blouse, and we are wondering what is the best way to trying to remove it from her blouse. She suggested using the product "Disolve-It" which is a citrus based stain, etc. type remover, but I am afraid that it might set the paint into the material. Although water based, latex paint can be a challenge to remove from clothing especially after it has dried. 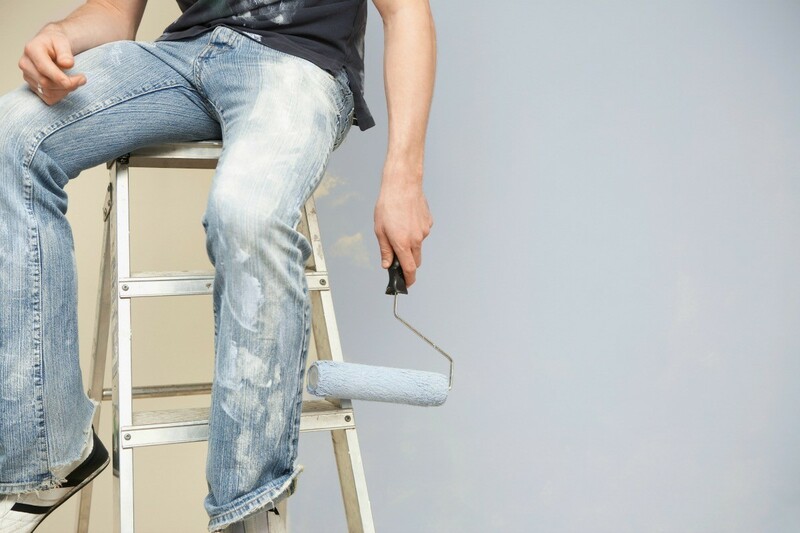 This is a guide about removing latex paint stains on jeans.